Office Supplies Talk: What is Smear Guard Technology? Welcome to another exciting episode of "I Speculate on Office Supply Technology, but Mostly I Guess." A quick blurb just hit my desk about Sharpie's New Smear Guard Technology. The PR text says that it is a specially designed highlighter ink that is formulated to resist smearing. (Based on consumer surveys. Let ink dry before highlighting.) The marketing angle here is sound as everybody who has ever used a highlighter has had a time where a specific combination of highlighter and ink has lead to a long unreadable splotch instead of an important piece of text they were attempting to add emphasis to. 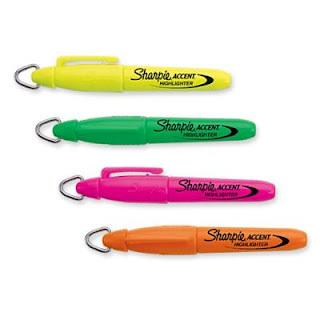 Sharpie does offer a large selection markers with Smear Guard in various sizes and colors. Sharpie has stepped in to attempt to remedy the situation with Smear Guard highlighter ink. The first thing you need to know is that the phrase "Smear Guard" is a registered trademark by the people at Sharpie, so you can't borrow the phrase for yourself, but there does not seem to be a patent on the underlying Smear Guard ink technology so we can safely assume that there isn't anything ground breaking going on. To start our analysis you must first know that there are primarily two different types of inks; alcohol and water based inks, and they both perform the same basic function of helping a pigment adhere to a surface. Alcohol based inks give you that marker smell and are more permanent, while water based inks take a while longer to dry, but tend to be less expensive. 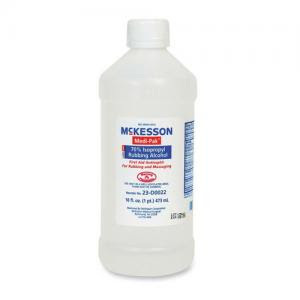 Rubbing alcohol is a very common DIY paint remover, and if a strong alcohol can remove paint there is no reason a weak alcohol would smear ink. So the first step of designing a highlighter to resist smearing is to only use water-based highlighter ink. In order to decrease the likelihood of smearing with water-based ink, the water to ink ratio just needs to be decreased to the point where the ink won't gunk up the felt tip. So here is my final guess as to what the underlying Sharpie's Smear Guard highlighter ink is based on the evidence; it is a water-based highlighter with less water than usual. Less water isn't as exciting as lots of water, but if it'll help you keep your writing clear it is worth it. For me that's a little bit strange that people discuss such issues and even write articles about that. If ever had to write about similar th8ngs, I would rather ask https://www.thrivingwriter.com/college-application-essay to help me, then make fun of my brain because of it.